The German mezzo-soprano Claudia Mahnke studied at the Academy of Music in Dresden with Heidi Petzold. From 1996 to 2006 she was an ensemble member of Stuttgart State Opera, where she developed a broad repertoire. She sang the title role in Karl Amadeus Hartmann’s Simplicius Simplicissimus in Stuttgart and at the Munich Opera Festival in 2005, and her interpretation brought her several award nominations. 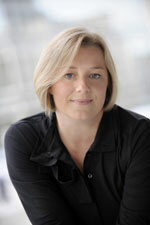 In 2006 Claudia Mahnke was appointed ‘Kammersängerin’ of Stuttgart State Opera. In addition to her commitment at Stuttgart State Opera Claudia Mahnke has given many guest performances, including at Komische Oper Berlin (Komponist in Ariadne auf Naxos), San Francisco Opera (Komponist, as well as Dorabella in Così fan tutte, Cherubino in Le nozze di Figaro, Zerlina in Don Giovanni), Opera National de Lyon (Dorabella), with Deutsche Oper Berlin in Seoul (Cherubino), at Badisches Staatstheater Karlsruhe (Le Prince Charmant in Cendrillon), Aalto Theater in Essen and Cologne Opera (Octavian), Ruhrtriennale under Kirill Petrenko (Brangäne), Bavarian State Opera in Munich (Palestrina and I Puritani), Teatro Real Madrid (Adriano in Rienzi) and in 2014 at LA Opera as Judith in Bluebeard’s Castle. Since 2006 she has been a member of the Frankfurt Opera. She also has a wide concert repertoire.